Over 200 Turkish and international musicians will participate in the 23rd Istanbul Jazz Festival, giving music lovers in Istanbul the chance to see jazz legends in approximately 50 concerts performed at more than 20 venues. The festival program includes a range of jazz, funk, world music, blues and rock performances, with highlights including the legendary Nile Rodgers and his group Chic, as well as current and former members of The Syrian National Orchestra for Arabic Music with Damon Albarn, Kamasi Washington, Laura Mvula, Ernest Ranglin, Hugh Coltman, Joss Stone, Vintage Trouble and Gregory Porter also performing. An event will be presented by Blur front man Damon Albarn’s project, Africa Express. The project brings together current and former members of the Syrian National Orchestra for Arabic Music, led by conductor Issam Rafea. The group, which will reassemble for a number of gigs, will perform on the opening day of the festival on June 27 at Cemil Topuzlu Open-Air Theater. The king of disco and funk, the face of the Fender Stratocaster, and the composer of almost a third of our best loved hits, from the songs of Madonna to David Bowie, Rodgers will give his first concert in Turkey together with his group Chic on June 28 at Küçük Çiftlik Park. The festival’s Lifetime Achievement Award will be presented to musicians Özdemir Erdoğan and Ergüven Başaran. Following the ceremony, Başaran will take to the stage with Swing UNLTD. The event will be topped off with a performance by a sought-after group of the New York swing scene, The Hot Sardines. One of the most industrious figures in Turkish popular music and Jazz, Erdoğan will also offer jazz lovers an evening of nostalgia. This year’s festival also hosts Washington, the new master of the saxophone and modern jazz. One of the foremost representatives of contemporary jazz, Washington will perform at the Beykoz Kundura, which is being used as a festival venue for the first time this year. On July 15, the Uniq Open-Air Theater will witness a one-of-a-kind special project, French Quarter, revealing the best bits of contemporary French jazz to festival-goers. After this performance, Coltman will take the stage with his vocal style reminiscent of Jeff Buckley and Nick Drake, performing songs from his “Shadows” album, an homage to the inner world of Nat King Cole. 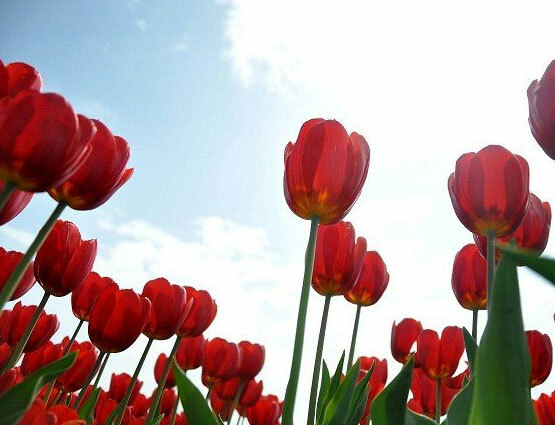 The festival program will also feature a children’s event for the first time. “A Childlike Day” will feature performances by Oran Etkin Timbalooloo and the Music for Peace Brass Band, while also giving children the chance to discover their musical talents and take part in fun workshops. The living Jamaican legend, founding father of reggae and creator of energetic ska melodies, Ranglin, will present an upbeat concert with his legendary group formed of Tony Allen, Courtney Pine, Cheikh Lo, Alex Wilson and Ira Coleman. Support comes from The Budos Band, who will take to the stage to perform their afrobeat and funk melodies. The “Night Out” event, which took place last year in various venues in Kadıköy, will feature concerts by musicians and groups including Elif Çağlar, DANdadaDAN, Son Feci Bisiklet, Plaistow, Hey Douglas and Önder Focan & Şallıel Bros.
British singer-songwriter Laura Mvula will perform together with Jacob Collier, heralded by The Guardian as “jazz music’s new messiah” in the historical garden of the Embassy of Germany Tarabya Summer Residence on July 22. One of the strongest voices to come out of the British music scene, Stone returns to Istanbul for the festival. Hailed as the Aretha Franklin of the 2000s, she will return to Istanbul where she will delight festival-goers with catchy songs, old and new, lively and romantic, on July 23. On July 25, at Cemil Topuzlu Open-Air Theater, American jazz vocalist and winner of the 2014 Grammy Award for best jazz album Porter will take to the stage with impressive jazz vocalist Roberta Gambarini. They will perform alongside the TRT Popular Music and Jazz Orchestra, formed of masters of the Turkish music scene such as Neşet Ruacan and Ferit Odman, in a very special performance for festival-goers. Later in the evening Porter will also perform songs from his latest album. The European Jazz Club, the event that brings the top names from the Turkish jazz scene together with European virtuosos, will be held at Salon İKSV. Volkan Topakoğlu featuring Matthias Konrad, Ercüment Orkut “Low Profile” featuring Marius Neset, Big Beats Big Times / Full Moon Theory Live, Çağıl Kaya Band featuring Airelle Besson and Bulut Gülen Quintet featuring Yuri Honing and the Eylem Pelit Band will take the stage as part of the event. On July 18 and 19, Zorlu Center PSM will host festival artists. Among the artists to share the stage in the venue will be Cyrus Chestnut, Buster Williams and Lenny Whitem, the Branford Marsalis Quartet and Kurt Elling, Antonio Sanchez and Migration and Brad Mehldau, Mark Guilian and John Scofield. 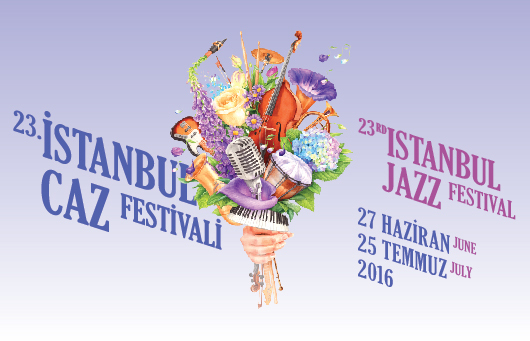 Tickets for the 23rd Istanbul Jazz Festival go on sale on April 16. The 20th Istanbul Jazz Festival, organized by the Istanbul Foundation for Culture and Arts (İKSV) and sponsored for the past 16 years by Garanti Bank, has concluded after drawing a total of 25,000 people to its concerts. 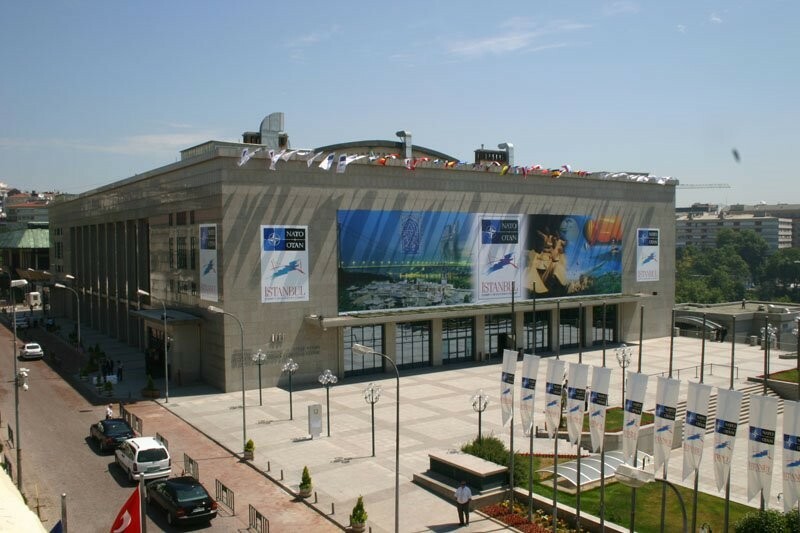 This year Istanbul Jazz took place between July 2 and 18. The 20th edition of the festival attracted 25,000 people, and brought the jazz stars and audiences together with 30 concerts in 14 different venues with the participation of over 300 local and international artists. The Istanbul Jazz Festival hosted two prominent names of R&B and soul, Alicia Keys and John Legend in its 20th year. American Grammy award-winning singer, songwriter, and composer Alicia Keys performed on July 2 at ParkOrman. A total of 7,000 people attended the concert. One of the best singer-songwriters of R&B and soul of his generation, nine-time Grammy-winning singer John Legend was in Istanbul for the first time within the scope of the festival. This closing concert, held on July 29 at the Cemil Topuzlu Open Air Stage, was attended by 4,000 music lovers. The festival line-up also included Bob James & David Sanborn, E.S.T. Symphony (feat. Dan Berglund, Magnus Öström, Jacky Terrasson, Michael Wollny & Marius Neset), Melody Gardot, Dee Dee Bridgewater & Ramsey Lewis, Antony Strong, China Moses, Anat Cohen Quartet, Stefano Bollani & Hamilton de Holanda Duo, Chano Dominguez, Matthias Eick, Ola Onabule, Gregoire Maret and many more. The 20th Istanbul Jazz Festival also included symphonic projects. Esbjörn Svensson was commemorated with a special project, titled E.S.T Symphony on the 5th anniversary of his passing. The project by the Swedish composer and conductor Hans Ek, was performed by Filarmonia Istanbul orchestra and soloists, Jacky Terrasson, Michael Wollny, Marius Neset, Dan Berglund, Magnus Öström, on Wednesday 10 July. Sarp Maden, on guitar and Korhan Futacı on vocals are among the names to be featured in the E.S.T Symphony concert that provided a chance to listen to the symphonic arrangements of Esbjörn Svensson Trio’s compositions. The festival hosted another symphonic concert on Tuesday 16 July. Deutsche Philharmonie Merck led by Wolfgang Heinzel performed at Cemal Reşit Rey Concert Hallwith its “Teatime at the Savoy” project together with Opera Swing Quartet and prominent Turkish pianist and composer Kerem Görsev and his trio.